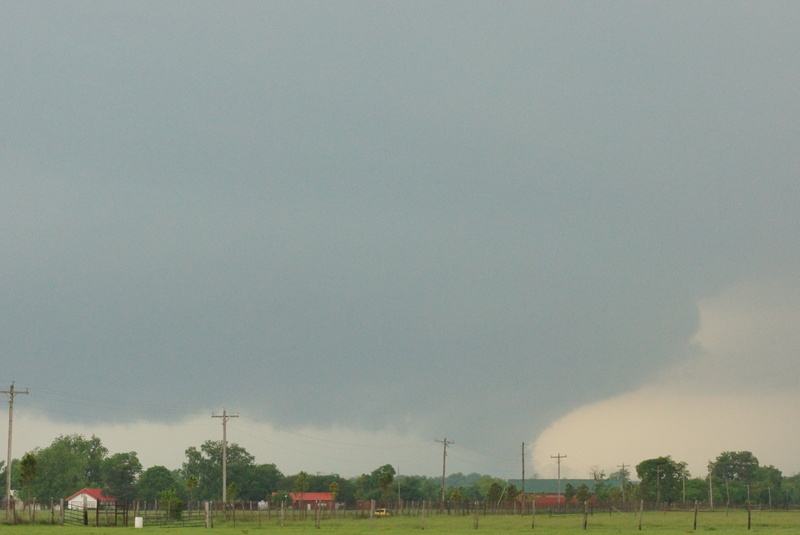 Tornadoes and severe thunderstorms are among the most damaging types of weather in the world – yet they pose a complex challenge to forecasters around the world. Research is being carried out into this type of severe weather with the aim of improving forecasts and warning and protecting lives. This is being led by the National Oceanic and Atmospheric Administration (NOAA) in the US. Each season has its own characteristics, and this storm season has been active in the Southern Great Plains after a relatively quiet season last year. Record breaking heavy rainfall has resulted in widespread flash flooding, giant hail and numerous tornadoes so far this May. Each year, NOAA brings together meteorologists from all over the world to advance the science in this area. 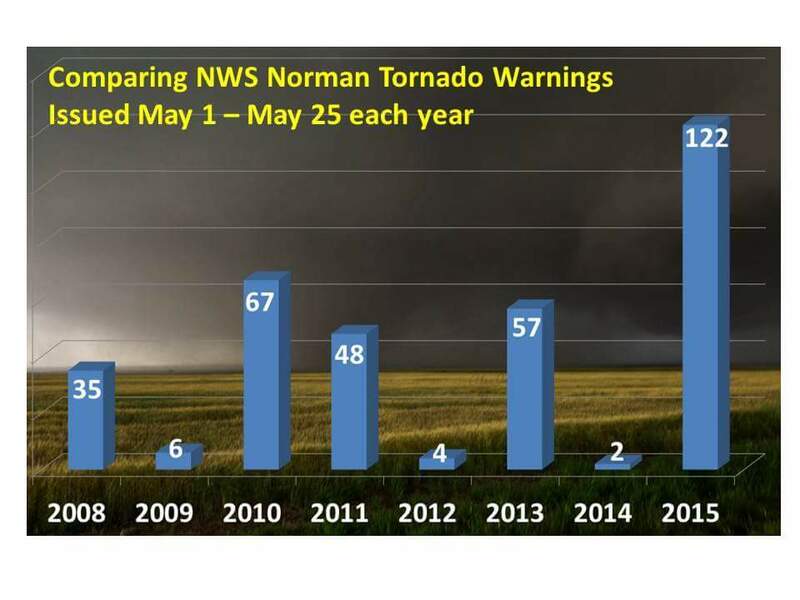 In May and early June they run the Spring Forecasting Experiment at the National Weather Service in Norman, Oklahoma. It’s held at this time of year because that’s when parts of the US are particularly at risk of hazardous weather such as lightning, giant hail, and thunderstorms. 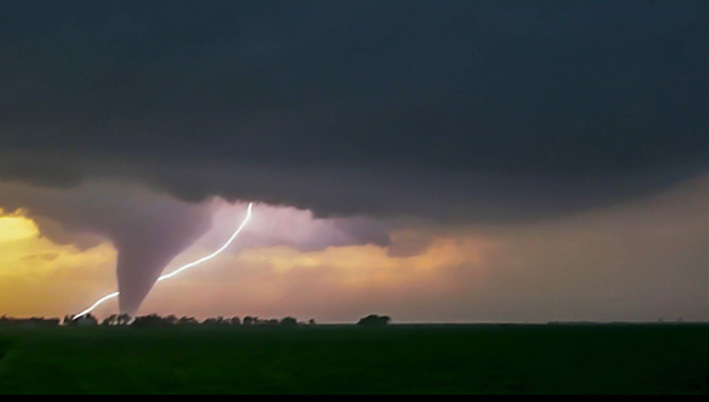 The current objective of the Spring Forecasting Experiment is to use the latest forecasting techniques to improve short-term advice and warnings of these severe storms. The assembled experts test a range of tools with the aim of bringing the best of these through to operational use. A spokesperson from NOAA said: “The reason for the collaborative approach to the issue of severe convection is that the challenge facing the meteorological community is too large for any one organisation to deliver on”. Scientists carrying out the experiments include Met Office staff alongside those from from the National Severe Storms Laboratory (NSSL), the Storm Prediction Centre (SPC), top universities and others. 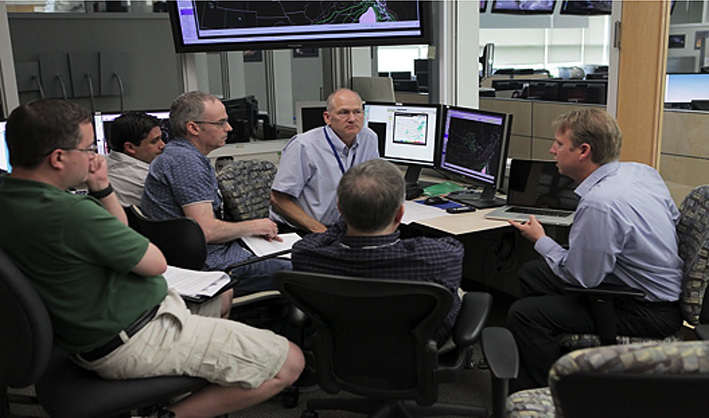 As well as participating in forecasting exercises, the big test for the scientists comes during the real-time events as there’s nothing like real-world operational challenges to focus the work. The Met Office takes an active role in the event, trialling our own high resolution forecasting models for the US domain. Steve Willington, Chief Meteorologist at the Met Office, has been out in Oklahoma for several weeks taking part in the experiments. He said that “the severe weather has impacted the local area with various tornadoes sweeping through, one very close to the hotel where we are based, resulting in us being relocated to the hotel tornado shelter, which doubles as a laundry room.” Steve added that “all this active weather is providing an excellent test for the Met Office models and we are seeing some great results with both strengths and weaknesses being identified. This will provide plenty of material for follow-up work to improve the models further once the experiment itself comes to an end in June”.